To begin with, even citing references as old as 2009 is out of touch. If I did that in an article for my PhD, I would be asked to find more relevant, and accurate data; apart from explaining the historical context of something, it is recommended I mostly use references from the last five years. 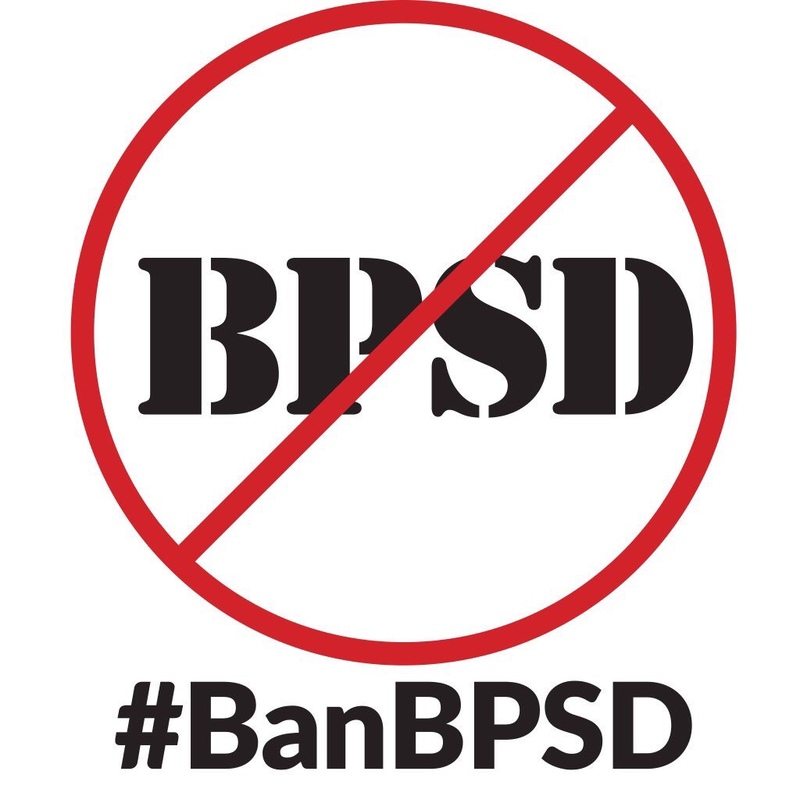 My points exactly, so why are we still using the term BPSD, and still being prescribed anti psychotics ad nauseam, when there is little evidence for either? In fact, there is plenty of evidence against the use of antipsychotics for people with dementia, which systematically continues to be ignored. I’m trying to contact the author. Thanks Kate i found this article a positive read at first in that author admitting that there is limited evidence for the use of medication to manage so called ‘inappropriate behaviour’ but then it went down hill with no action or recommendation of what do we change this practice?? I guess if any of us living with dementia or not are ignored long enough when we cry out then what options are we left with but to change our approach to attract the attention we need and deserve it’s a natural human response. Wholeheartedly agree with your comment Leah overtime for heads out of the sand and ensure the practices we witness on a regular basis need to be sent back to Noah on his flippin arc. If we do nothing then it is gaurenteed one thing will definitely happen, NOTHING. Albert Einstein said ‘The world is a dangerous place, not because of those who do evil but because of those who look on and do nothing.’ A man way ahead of his time..
Actually there is quite a lot of and growing evidence for the effectiveness non-pharmacological management. It is just often that the focus of the community and care homes is not on providing so-called ‘non-pharmacological management’. Yes, I know Janet. And that makes it that much more tragic and distressing! It’s time we challenge the stigmatising and negative behavioural paradigm used to unfairly judge and pigeon hole people living with dementia. We must pave the foundations for an entire culture change and become the catalyst to the shift required in publicising to the world that we are now rethinking dementia and are advocating zero tolerate towards the subjective assumptions made about dementia and behaviour. It is critical that society and the medical profession cease judging and segregating people living with dementia in this manner. “These depictions intentionally describe behavioural expression in a manner clearly proclaiming that ‘only’ people living with dementia exhibit behaviour, and misleadingly, making an untrue declaration, that behaviour, psychiatric conditions and dementia are co-joined. Aligning dementia to mental health through a classification such as BPSD, is an error in judgement related to categorisation. It appears this has arisen because of uncertainty within a health framework founded purely on symptoms that only ‘seem’ to have at times, ‘some’ commonality. It is essential we advocate for dementia to be recategorized within a disability paradigm now that we are more knowledgeable. The past may have been mental health, but the future requires reform to adequately represent the experience of people living with dementia.”(Leah Bisiani, 2016). In relation to the predominance of psychotropic medication, it is OUR disgraceful behaviour that must be seriously reflected upon. Over medicating people because you do not understand them is considered inappropriate and unacceptable, and viewed as elder abuse. How dare we consider this a humane and caring attitude? May I also suggest, that the prevalence of behaviour/normal responses, received from people living with dementia, is most often related to ‘our’ behavior and dehumanising attitudes towards them. It is time to take our head out of the sand and move forward from the old archaic care philosophies. All persons have the right to speak up about their frustrations, and communicate this in the best and only way they know how. The focus and management of behavioral expression in people living with dementia has for too long relied essentially on medications that sedate. This is INAPPROPRIATE BEHAVIOUR!! !